Trevor Hambayi, a Financial Analyst with extensive global experience spanning over 20 years, both within the private sector and quasi government organizations, which includes stints with the UN in a conflict zone, investment analysis with a US based financial institution and consultancies with aid organizations and industry specific associations in Zambia. Mr Hambayi, heading a private sector firm and currently a PhD research Fellow with the University of Bolton, advocates for the African continent's economic emancipation through improved access to finance for SMEs. 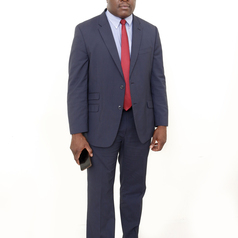 He consults on matters relating to finance that include funding sources for business enterprises, financing models, economic stimulus, debt/equity investments and private sector interventions to economic growth.